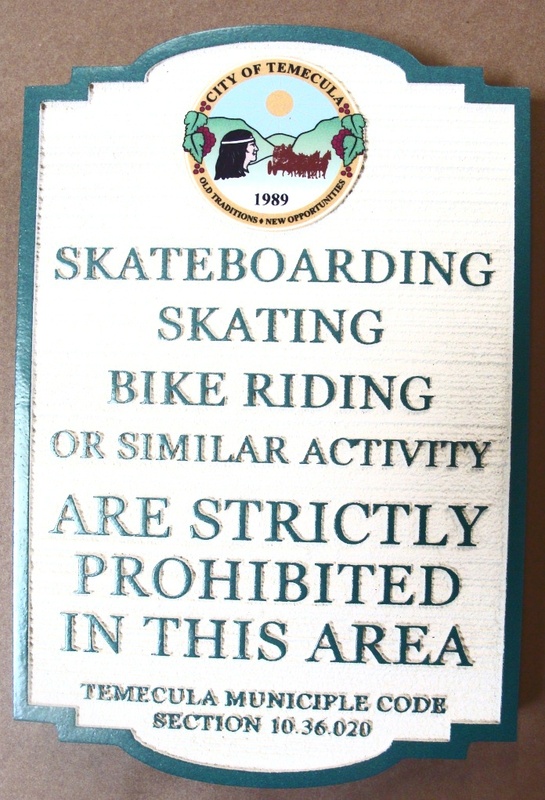 Welcome to our photo Gallery 17, which shows examples of custom carved wood, High-Density-Urethane, HDPE, and aluminum street, traffic, children playing, and parking/no parking signs, and also aluminum and wrought iron sign posts, sign frames, sign brackets, and decorative scroll bars (see Gallery 4). Other photo Galleries can be visited by clicking on numbered gray boxes in the lower left margin on this page. If you have just entered our website and you want an overview of our company and all our products, please see our Home page (upper left dark gray tab in the header at the top of this page). 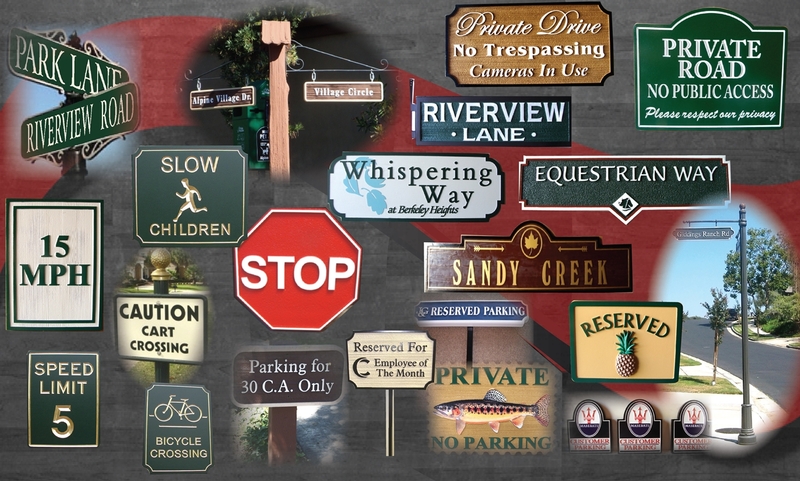 Above are a few of our long-lasting high-visibility custom street name, way-finding, traffic, children playing, private drive, and parking signs. 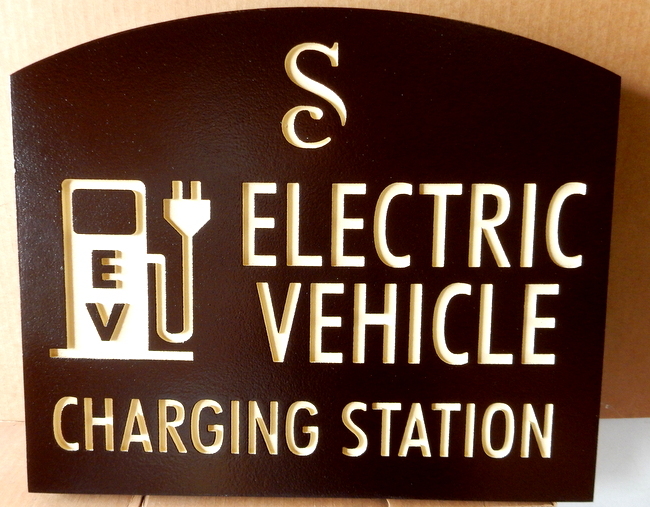 We carve these custom signs from wood , High-Density-Urethane (HDU), metal-coated HDU, and HDPE materials. 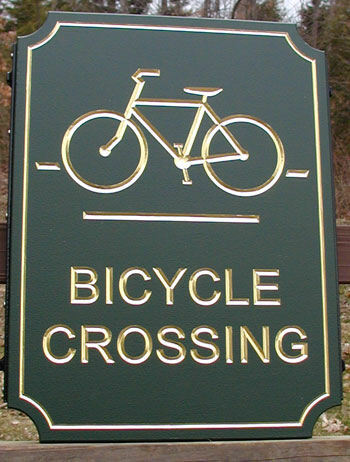 We also make custom aluminum and steel sign frames, decorative scroll brackets, posts, finials, and bases. 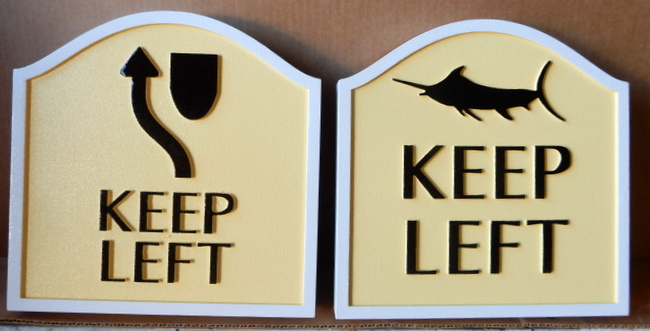 Our custom street, traffic, children playing, private drive and parking signs can be made from ultra strong HDU, wood, Color Core HDPE, HDO/MDO, or Aluminum and can contain logos, seals or other custom art. Our HDU and wood signs either have lettering, borders and artwork raised,or alternatively carved (incised) into the surface with either a V-carved or flat bottom profile. 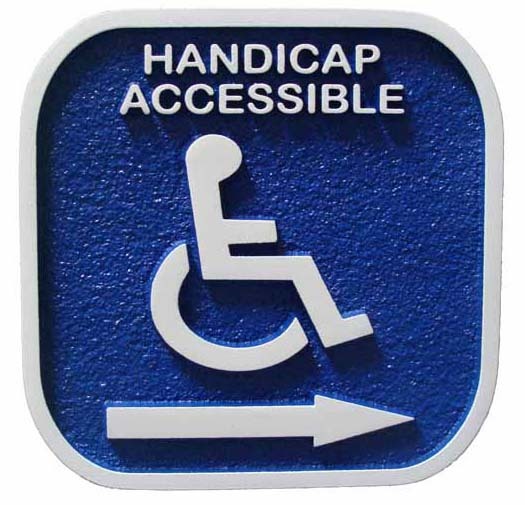 Our HDU signs & plaques can be coated with beautiful bronze, brass, copper, nickel-silver, or stainless steel metals at less than 1/3 cost of cast bronze signs. 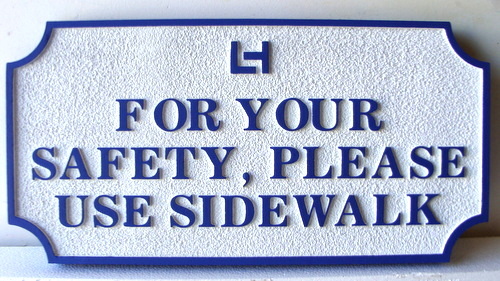 Our signs are rugged and long-lasting. 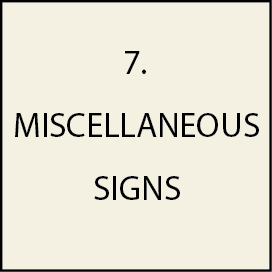 The signs will not only last decades or longer, they are very resistant to impacts from rocks, bird strikes, etc. We also offer our very tough and strong engraved Color-core HDPE, HDO (High-Density-Overlay), and aluminum flat signs (less expensive but no 3D dimensional effect) for some of these applications. We sell integrated EPS foam monument and entrance signs(Gallery 6), and steel & aluminum sign posts, bases, finials, post attachments, frames and wrought iron scroll brackets for hanging signs (Gallery 4). Please refer to a signs ID number (e.g. H17022) if you find a sign or plaque you like. This Gallery 16A contains photos of signs and plaques we have made for street name, traffic, private drive signs, and parking signs, shown in the following order in the three pages of this Gallery 1. Please move the slider on the scroll bar on the right edge of the window to see the photos lower down on a page. Click on the underlined Page number below or at the bottom of the photos "1", "2", or "3" to go to a different page of this Gallery 17. PRICES. Our custom designed smaller signs, 18 inches to 24 inches wide, have retail prices that range from $99 to $250+. 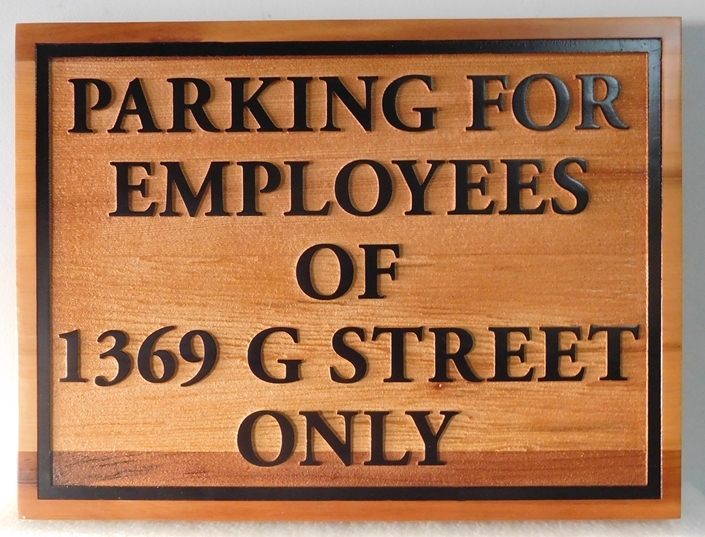 Medium size single-face signs, from 24 inches to 48 inches wide, have retail prices from $200 to $800 and up. Our sign prices depend primarily on sign area but also on sign material (e.g., Cedar, Redwood, HDU, HDPE), whether they are single or double-faced, their design detail and complexity (e.g., 3-D vs. 2.5-D, art details), and any special features (e.g., steel reinforcements and frames, 3-D appliques, etc.). These prices do not include posts or support structures, which we sell separately. More detailed information on sign retail prices, along with their design features, are described on the Price, Size, and Design Features page. PLEASE CONTACT US. Please call or email us for a price quote on specific signs. We will work with you to design and build the exact ones you want. Our knowledgeable and helpful Customer Service Representatives, Christie and Regina, will respond to your request promptly. Call us at 951-698-8484 or email us at info@artsignworks.com, or you can fill out and submit our on-line Request an Estimate Form. 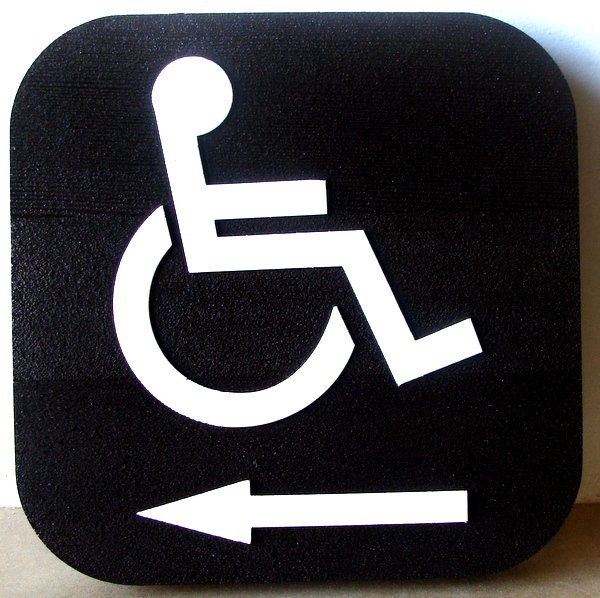 We would like very much to make your custom signs, and we are confident that you will be pleased with them. We take great pride in every product we make for our valued clients. We offer a 2 year warranty on all our products in any climate. Please contact us today so we can get your sign designs initiated. HOW TO NAVIGATE THIS SITE. You can scroll down this page to see more sign designs by using the slider on the scroll bar at right edge of this page. You can enlarge a photo and get information on the sign by clicking on the photo. After you enlarge a photo, to return to this Gallery page, click on "Return to List" at the bottom right of the photo or text. Other photo Galleries can be viewed by clicking on a numbered gray box in the lower left margin. Business web pages (e,g, prices & design options, request a quote, place an order ) can be viewed by clicking on a gray box in the upper left margin. Other informational web pages, including our Home Page, can be visited by clicking on dark gray tabs at the top of the page in the header.